Managing your company’s D&O insurance program begins with appointing a broker, but this is only the first step. In the wake of Royal Commissions and enhanced Directors responsibilities (see our blog on Corporate Governance for examples), there is an even greater onus on Board of Directors of public companies to continually assess their risk and ensure that they have transferred risk wherever viable. If Directors & Officers have a claim brought against them or become aware of circumstances which could reasonably be expected to lead to a claim, it’s crucial for them to notify their D&O Broker. This is because timing is extremely important on Directors and Officers policies, especially when it comes to reporting claims. D&O policies are written on a “Claims Made” policy basis, which means as soon as the Director or Officer is aware of a demand or claim they need to report it and seek indemnity for the claim during the period of insurance to trigger a claim. Policies generally require the claim to be notified in the same period of insurance, in which management first became aware of the incident, for that claim to be covered. In certain circumstances insurers may provide some leeway and allow for a late claim notification to be accepted outside of the period of insurance in which it should have been notified. This may occur in situations where an extended reporting period is included in the D&O policy or alternatively where there is a continuous coverage provision in the policy. Failing to promptly notify an insurer of a claim or circumstance can affect coverage under the policy. If a notification is made late and the policy does not make provision for late notifications, any subsequent or related claim may be declined. We recommend always discussing potential claims circumstances with your broker to make sure you’ve received the proper guidance on the claims management of your D&O policy. For example, many companies would like to appoint their own lawyers to a matter, but it is important to make sure your insurer approves the use of non-panel lawyers and their rate so that it doesn’t have an effect on the claims payment. Most companies take their D&O policy out and “put it in the vault” forgetting to revisit it as the company’s business model changes. As part of the Board’s risk analysis, the policy should be reviewed regularly to ensure that it will respond to the changed business. It is also an opportune time to consider whether the existing cover and limit is adequate and whether additional insurance is required to cover previously uninsured risks. Good examples of this might be the transition from mineral explorer to producer, or a sales company incorporating sales in USA for the first time. If a company has had a significant change (positive or negative) in their financial condition, it may be worth notifying their broker/insurer. For example, if the company is near insolvency or directors are relying on the safe harbour provisions, it is worth discussing what options are available with respect to reporting a circumstance to their D&O insurer. Equally, if a company has an insolvency exclusion and has significantly improved their financial situation, they may be able to remove the exclusion and improve the overall policy. ii. hold more than 50% of the issued share capital of the Company. The effective date of such a change of control is important, as in almost all instances where a change of control occurs, the existing D&O policy will only provide cover for wrongful acts which occur prior to the effective date of the change of control. In order to ensure continued coverage, a D&O Run Off policy or Run Off endorsement should be put in place; ideally this should be in place for at least 7 years, so cover is in effect for the full statute of limitations. The acquirer should then purchase a new policy or include the acquired entity on their current D&O insurance policy. See our comprehensive Run Off discussion in our recent blog post for more details. Most D&O policies include a provision which relates to acquisition thresholds. If the Company acquires or incorporates any entity or subsidiary in Australia, or in an overseas jurisdiction, there will be certain matters to consider, for instance whether they are automatically included by virtue of the policy wording if it is in a new jurisdiction. This extension ensures that any new subsidiaries receive the same protection as the parent company, providing essential coverage to the directors and officers of these acquired operations. It’s important to note that coverage commences from the date of acquisition of the new subsidiary and only covers acts committed after this date. Additionally, the automatic coverage provided is usually subject to the relative size of the acquired entity. Insurers typically provide their acquisition limit in the schedule to the D&O policy or in the policy wording. If the acquisition of the subsidiary exceeds the acquisition limit provided for in the policy, then the insurer would be requested to include coverage by way of endorsement. Consult your D&O broker to determine what your acquisition threshold is for future acquisitions. this extension ensures that any new subsidiaries receive the same protection as the parent company, providing essential coverage to the directors and officers of these acquired operations. It’s important to note that coverage commences from the date of acquisition of the new subsidiary and only covers acts committed after this date. Additionally, the automatic coverage provided is usually subject to the relative size of the acquired entity. D&O policies treat capital raisings in different ways: some include automatic coverage in the policy wording up to a particular threshold and within a certain jurisdiction, while others cover raisings by way of endorsements that specify the upper threshold limit and jurisdiction. 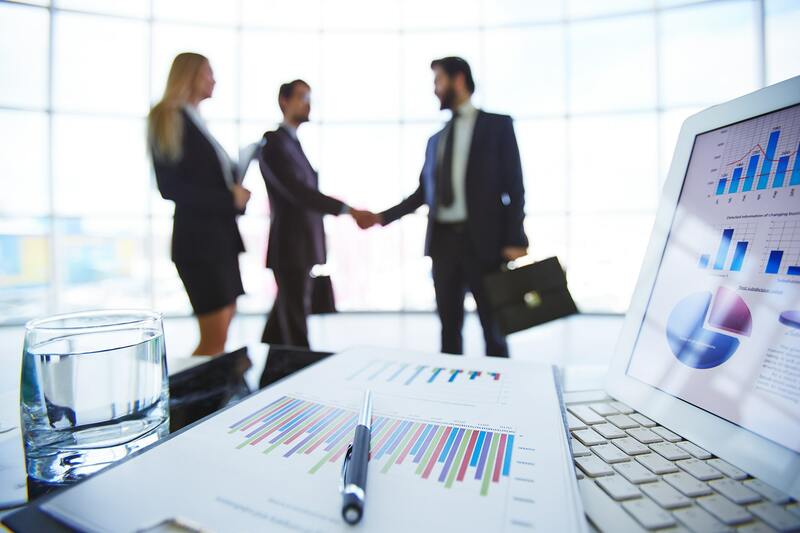 The rationale behind these endorsements is to provide the underwriter with the necessary information about the capital raising and the option to underwrite the risk, usually at an additional premium. IPO’s carry different considerations and are not within all D&O underwriters’ appetite. 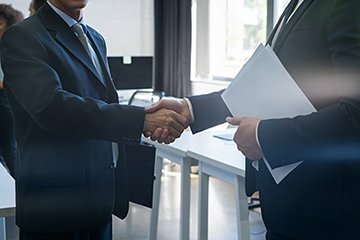 Generally, representatives of the Board will have discussed with their broker the company’s plans vis-à-vis an IPO and you will have secured D&O cover with an insurer who is prepared to include the Prospectus/IPO document, either through charging an additional premium and/or a specific endorsement writeback. If these capital raisings are not reported, they will not be covered by the policy. See our blog post on Prospectus cover for further details on this. 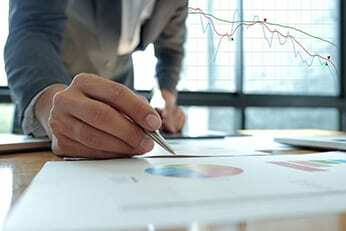 International raisings – If the Company undertakes any securities offering of debt or equity within the USA, or equal to or greater than the amount or percentage specified in the policy endorsement, then these raisings will need to be disclosed to your broker for the best strategy to cover the exposure. There may be a need to purchase a local D&O policy in the jurisdiction where the capital is being raised, as each jurisdiction and insurer have their own set of rules and guidelines. D&O policies can cover investigations, including: hearings, examinations, investigations or inquiries by a regulator, disciplinary body, criminal authority, ombudsman, or government body/agency. This coverage can extend to cover a raid or self-reporting, however, you would have to consult with your broker on the specifics of your D&O policy wording. Insurers want to know whether you have existing operations in USA/North America or whether you have plans to do so. The policy may be endorsed to apply an excess to any USA claims, or alternatively North America may simply not be within their appetite and therefore excluded. If the company requests a director to take up an outside Board position as a representative of the company this needs to be disclosed to the insurer. Provided that the insurer is aware and agrees to extend coverage, outside directorship coverage protects managers over and above the indemnification and insurance protections carried by the outside entity itself. This provides executives with the comfort of knowing that they will remain protected in the event that the outside entity’s insurances are insufficient or completely exhausted. Often D&O insurance policies are governed by the jurisdiction in which they are issued (and provide for adjudication of disputes to be conducted in the home jurisdiction). If the policy was taken when the company was listed on ASX and it subsequently intends to change its listing destination by delisting on ASX, this needs to be notified to the insurer. There are a number of reasons for this: the insurer may wish to ascertain the remaining connection to Australia if the listing is migrated, the insurers may also raise queries in relation to worldwide cover and international program requirements. 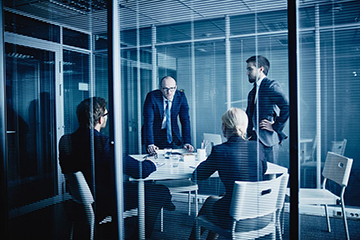 DO YOU NEED TO REPORT EVERY CHANGE TO THE BOARD TO THE D&O INSURER? A common question we receive is “do we need to report the resignation or addition of a board member?” The quick answer is “no”. Most policies’ definition of Insured/Insured Person reads as any past, present or future Director, Officer or Employee of the Company. So, D&O policies are future and past looking with respect to the definition of Insureds, which makes it easier for all parties when there are changes to the board. With that stated, it is worth noting that most declarations ask personal conduct questions about the board, so a change to an answer on the declaration would be deemed a notifiable event. For example, the declaration may ask questions about the Directors history around bankruptcy, claims history or criminal acts – if the answer changes it would have to be reported to the insurer. In conclusion, it is crucial to understand your D&O policy and keep the line of communication open with your D&O broker. D&O policies are highly complex contracts that need a certain level of understanding by the people managing them, including when to report important matters to the insurer. As D&O insurance has been more difficult to renew/purchase as of late, it has become even more critical to use a broker specialising in D&O insurance. Talk to one of our D&O Experts today! KBI is a boutique insurance brokerage with a focus on Directors’ & Officers’ insurance. Our team has placed Directors’ and Officers’ Liability Insurance for over 300 public companies in Australia, Asia, North America and Europe, including the ASX, TSX/TSX-V, SGX, LSE, Nasdaq, NYSE and LSE/AIM. Our team consists of senior brokers, lawyers and past ASX listing advisors. We add value to the process by helping our clients make an informed decision during the purchasing and claims process. We also continue to provide updates to our clients, so they are properly informed on the ever-changing landscape of Directors & Officers insurance. Want to keep up to date with all our latest D&O news and information? Enter your email to be added to our mailing list.